Currently viewing the category: "Drywall"
The Hole Pro® twin-blade X models can cut a variety of materials including wood, plywood, sheetrock, plaster, MDF, fiberglass, and up to 20-gauge brass and aluminum sheeting. The minimum diameter for all the X models is 1-7/8″, and the maximum diameter, for the Model X-425, is 17″. All twin-blade kits come in a heavy-duty carrying case and include a clear Tri-Slot Shield, as shown above, to catch shavings (the shield can also be used as a portable drill press), a pilot hole bit, two hex wrenches, and one set each of tungsten carbide blades and high-speed steel blades. 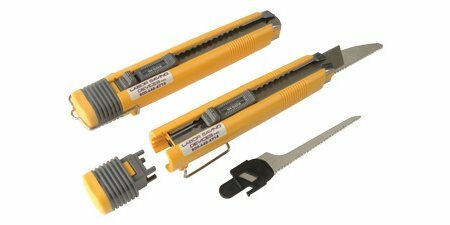 The twin blades provide easy balance, are “infinitely” adjustable over the range of diameters, and will cut through 1″ material (if cutting from one side only; 2″ material when cut from both sides). The Hole Pro® X-305, with a maximum capacity of 12″, costs $149.95. The X-148, with a maximum capacity of 5-7/8″, costs $119.95. 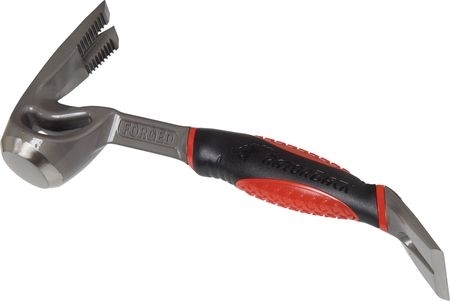 Have any Toolmongers used one of these hand-held-drill hole cutters? What’s your opinion? 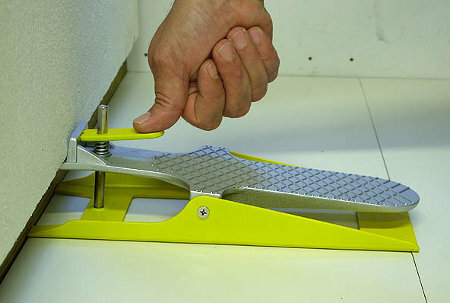 We’ve covered other door and panel lifters and kickers before, but what makes the Improtec Lift’n’Lock different is you can take you foot off the device and whatever you’re lifting stays lifted. When you’re done you simply push on the yellow release lever to unlock it. The Lift’n’Lock can raise stuff up to 2.5″ high. It’ll cost you $23 before the $14 shipping and handling charges. 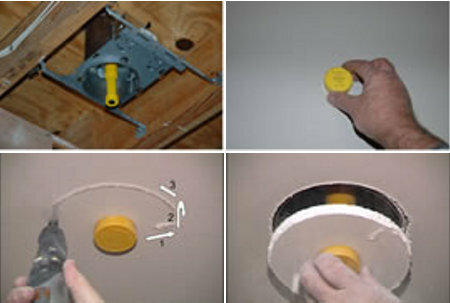 Anyway, my previous drywall repairs used the “standard” method of cutting a round or square section of new drywall, making that piece the template for cutting out around the hole, and then “gluing” the piece into place with joint or patching compound, often with something like a furring strip first installed as backing. 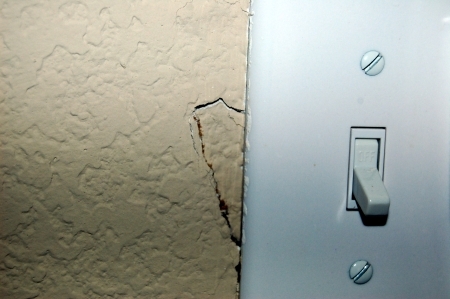 However, I’m not sure how well this approach would work here where the repair is fairly small and right next to a switch box. 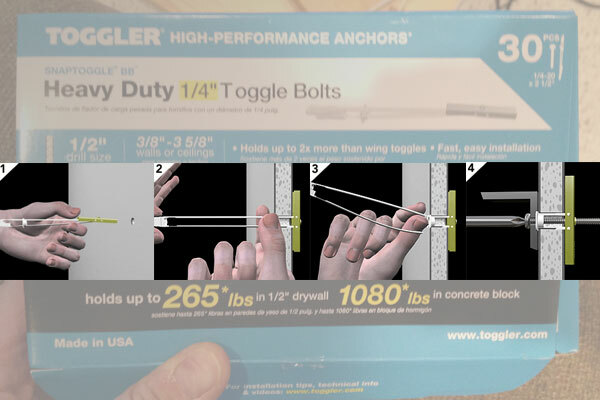 The local big box has peel-n-stick 4″ × 4″ metal drywall repair patch thingies (thin aluminum with a plastic mesh overlay from Wal-Board Tools) that look promising, but I’ve never used one. I suppose I could always resort to the “just throw a bunch of joint compound at it” method. Following up on RotoZip stuff (TM 11/30/09), I found a link to CUTzOUT installation templates, which work with all brands of spiral saws and rotary tools. 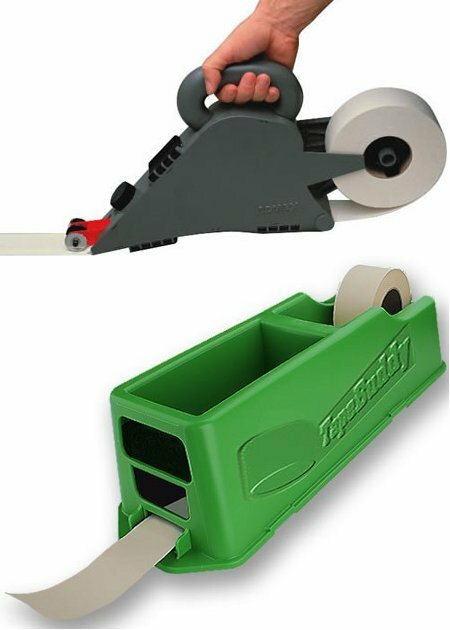 The above picture shows uses for the CUTzOUT Universal Single Gang Template, which costs $12.99, or $21.98 in a package with the SAWzBASE that attaches to the guide foot on most spiral saws and rotary tools to provide more stability and control. Other available templates include Universal Double Gang, Universal 4″ Round Box, Universal 4″ Square Box, STRAITCUTz, CIRCLEz, and more. The templates are ¼” thick ABS, and you can use them for “all remodeling, renovation, retrofit, and new construction projects to cut holes in drywall, paneling, plywood, ceiling tiles, OSB, SIPs, and all kinds of other materials.” They also make an ADAPTA-BASE — and apparently the shift key is stuck on their product-naming computer — that works “as both a cutting base and as a router base.” It allows working with the same guide bushings used on full-sized routers. This 3-in-1 drywall knife from Labor Saving Devices takes a snap-off style utility knife and adds a saw blade and a keyhole saw blade into approximately the same amount of space. It looks like the same mechanism retracts and extends all three replaceable stainless steel blades, so you probably need to remove the other two blades in order to use the third. And you can lock the blade you’re using in position so it doesn’t slide back into the handle. 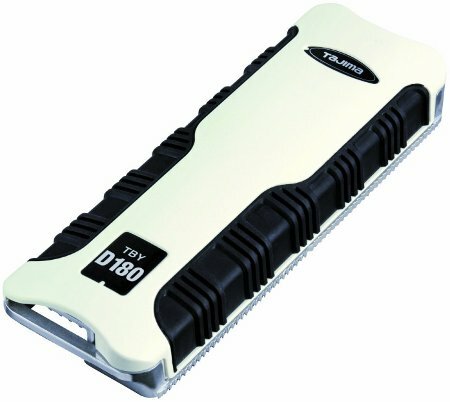 For what it’s worth, Labor Saving Devices’ Three-In-One drywall knife would probably be more attractive if it didn’t cost $20. If you only had to spend a few bucks, it might be handy to have a really compact knife and saw that you could put in your pocket or pouch and forget about it until you need it.